The Waza Craft CE-2W Chorus brings the CE-1 and CE-2 back to life using premium analog components and old-school BBD circuitry. Standard mode delivers the authentic CE-2 sound, which is now available in stereo for the first time ever. CE-1 mode includes both chorus and vibrato, reproducing the two sound modes in the original pedal. While the CE-1 had a single Chorus Intensity knob that increased rate and depth at the same time, the CE-2W’s independent Rate and Depth knobs provide expanded chorus control not previously available. The CE-2W’s stereo output provides the expansive chorus and vibrato sounds of the CE-1, and enables stereo CE-2 output for the first time. BOSS’s storied history is connected with the chorus effect from the very beginning. Introduced in 1976, the CE-1 was not only the first chorus effect in pedal form, but also the very first BOSS effects pedal ever produced. In 1979, the CE-2 brought this unique effect to the now-famous compact pedal lineup, which was quickly gaining worldwide popularity after being launched two years before. The CE-1 and CE-2 represent the early days of BOSS’s continuing dedication to innovation and quality. They brought together the cutting-edge tech of the time with a passion for helping musicians make great music, setting a benchmark that’s been at the heart of every BOSS product since. 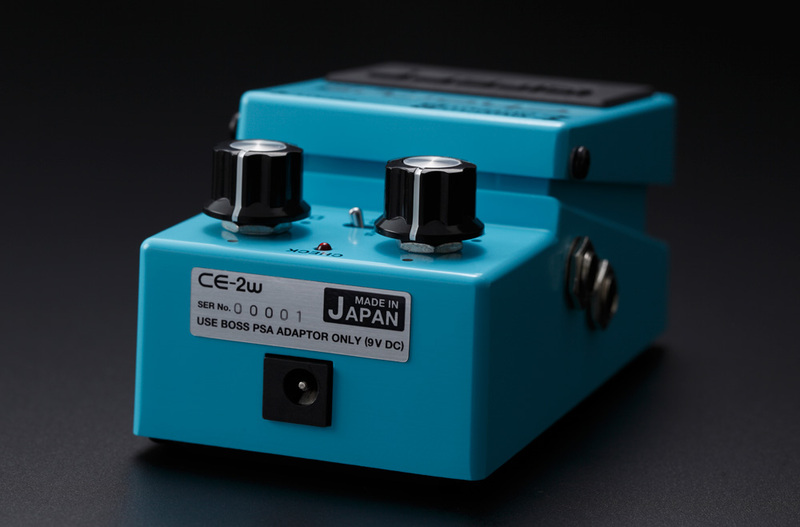 To commemorate this historic 40th anniversary, the Waza Craft CE-2W Chorus is produced in Japan just like the original pedals, honoring the rich heritage of BOSS effects innovation. Roland, the parent company of BOSS, debuted the JC-120 Jazz Chorus amplifier in 1975. Still in production today, this landmark amp introduced the lush “Dimensional Space Chorus” effect to instant acclaim. Released the following year, the CE-1 Chorus Ensemble contained the same analog chorus and vibrato circuitry from the original Jazz Chorus, allowing players to achieve spacious JC-style tones with any setup. 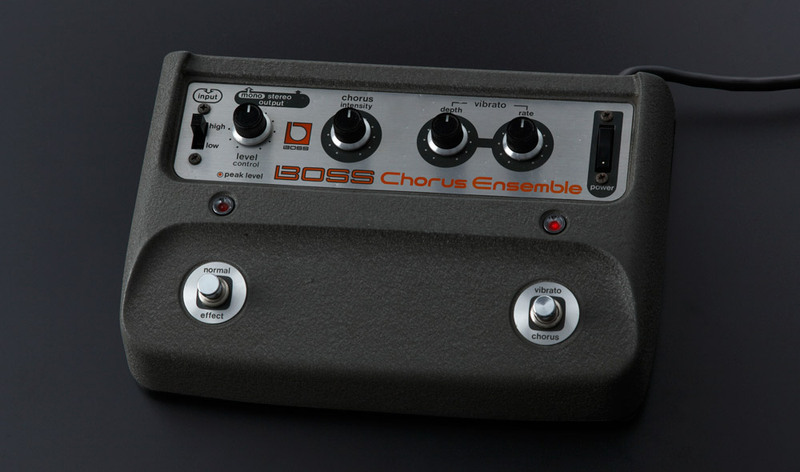 Released in 1976, the CE-1 Chorus Ensemble was the first BOSS pedal and the world’s first chorus effect in pedal form. While the CE-1 delivered inspiring, highly musical sounds, it was rather large and heavy, and was powered via an attached AC cord. When the smaller, battery-powered compact series was introduced, guitarists soon started asking for the effect in this more convenient format. Their wishes were granted with the CE-2, which featured a modified version of the CE-1’s chorus sound that was specially tweaked for guitar. This mono-only pedal quickly became a staple effect for guitar players, and was widely used for bass and keyboards as well. Its warm shimmer was a defining tone in ’80s music, and can be heard on countless hit records through the years. 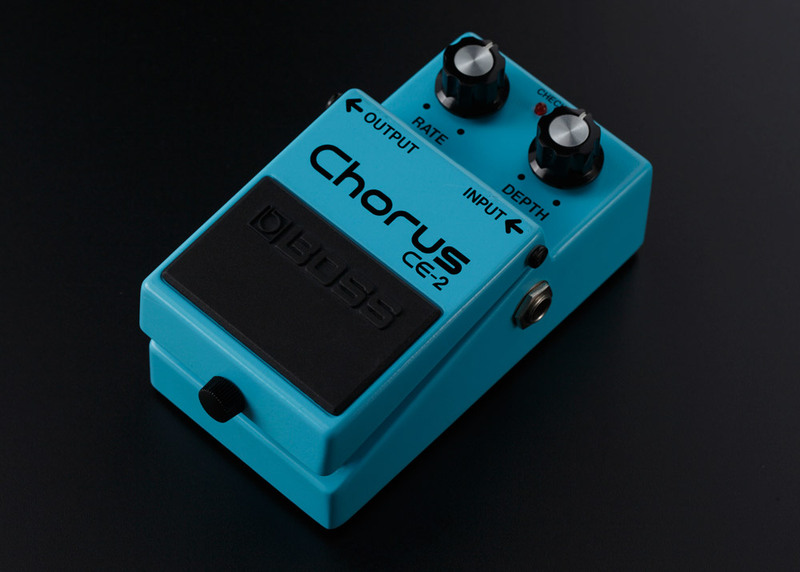 The CE-2 Chorus pedal brought chorus to the compact pedal lineup in 1979. 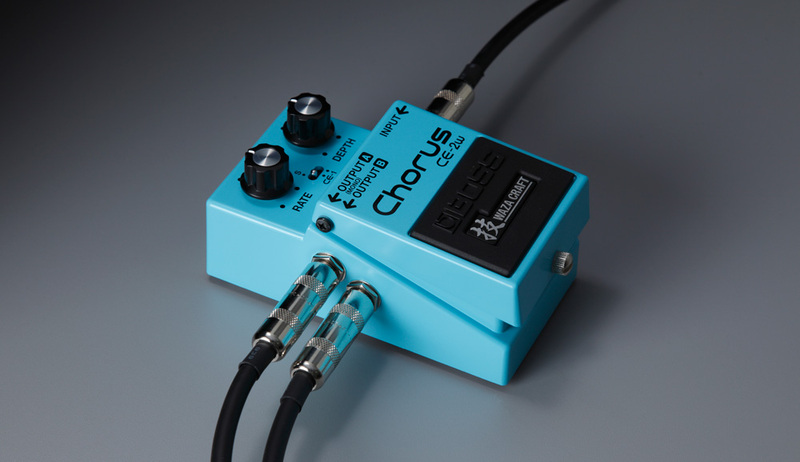 Learn more about the Waza Craft CE-2W Chorus pedal at BossUS.com.